I can’t control the axis, either, so far. Still trying to figure it out. Is there an updated tutorial on how the controls currently work? At the moment it seems to always put the ridge along the long axis, which means a roof requiring a ridge along its short axis has to be created that’s too long and then trimmed - extra steps. Yes, I do not have this option in the command line. I got that far to select the roof type, but I could not reliably control the axis from that panel. @djhg, we have to remove that “Tip”. 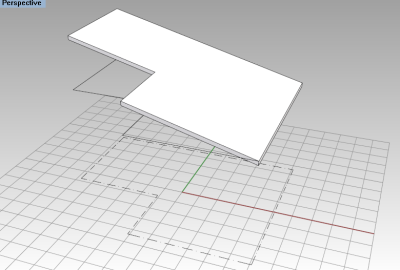 It shows the former way to create roofs in VisualARQ 1. As jmv points out, you can change the roof type during and after creating it. If you choose a Gable roof, you can activate its control points and be able to change its ridge axis position or rotate it. PLease let me know if there’s a tutorial or article online where this is explained.